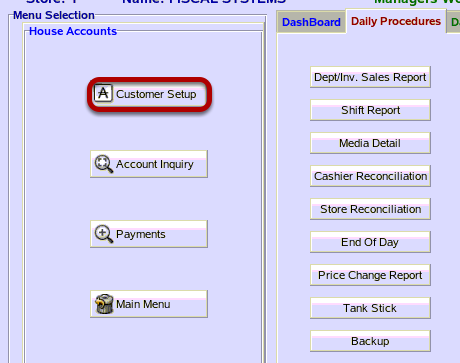 TravStar1 Point Of Sale SystemManager's Work Station House Account ManagementHow Do I Edit an Existing House Account? How Do I Edit an Existing House Account? This lesson will teach you how to edit an existing House Account. From the House Accounts menu, click on the "Customer Setup" button. 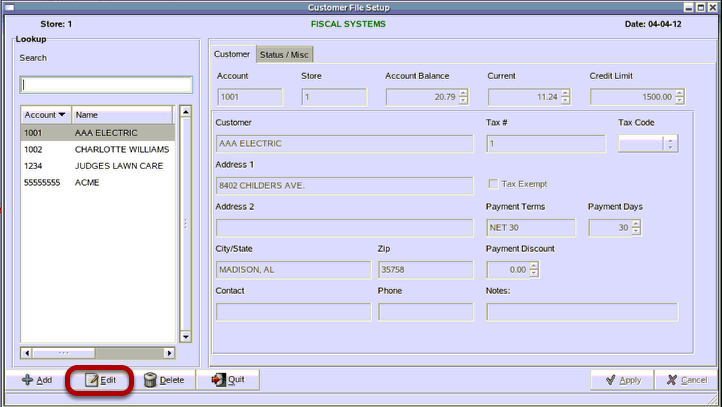 From the Customer File Setup screen, click on the "Edit" button. 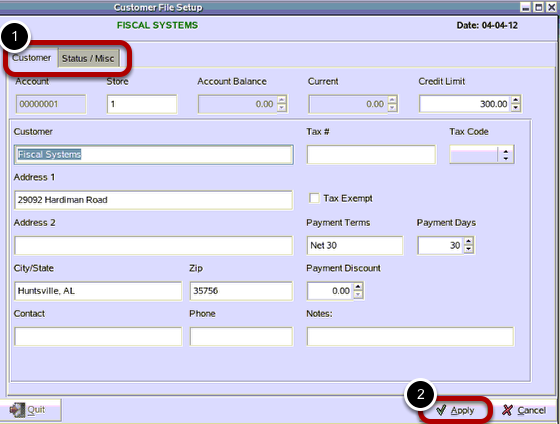 (1) Make all necessary changes to the Customer File fields. For a description of each field please see, What are House Account Customer Fields? (3) Send House Account File to registers. 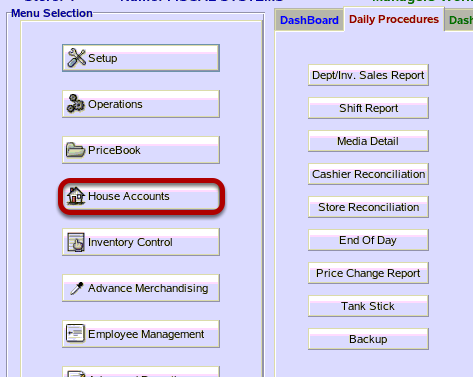 See How Do I Send House Accounts(Customers) To The Registers? Prev: How Do I Add a House Account? Next: How Do I Delete a House Account?